Mix all the ingredients together until well combined. Pour mixture into cake, cupcake, or donut pans so that sections are about 3/4 full. Place into a 350 degrees oven for 12-25 minutes depending on your choice of pans. Enjoy! 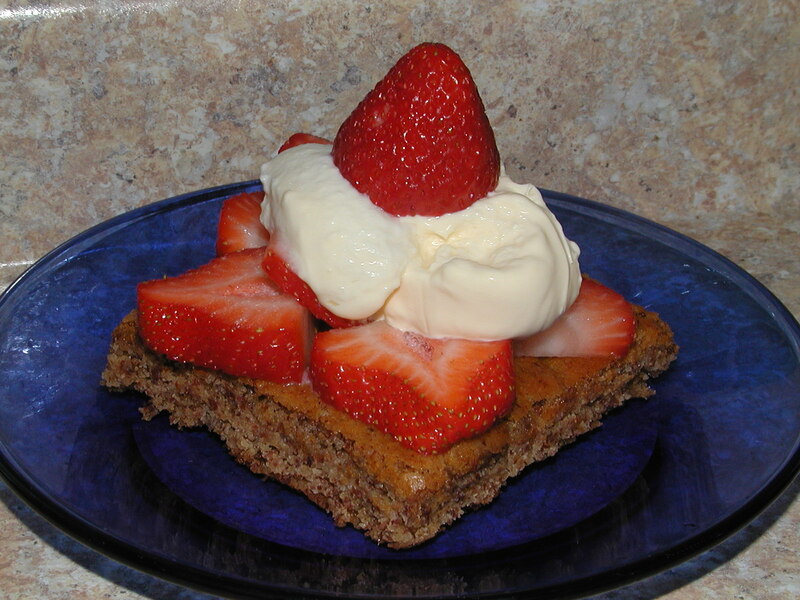 For strawberry shortcake: layer cake, strawberries, and homemade sour cream. Enjoy!